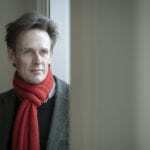 Renowned British tenor Ian Bostridge embarks this week on a Japanese concert tour, followed by two concerts in Hong Kong with pianist and regular collaborator, Saskia Giorgini. Starting on Tuesday 15 January, Ian will perform selections from Des Knaben Wunderhorn with the Tokyo Metropolitan Symphony Orchestra, under the baton of Kazushi Ono. It’s Ian’s first appearance in Japan since the 2015/16 season; to mark the occasion he will sing a further four recitals around Japan, presenting Winterreise, Die schöne Müllerin and a programme of Schumann and Britten. It will be a packed tour for Ian, with numerous interviews and publicity appearances following the recent release of his Requiem album with Sir Antonio Pappano on Warner Classics, and the release of his highly acclaimed book Schubert’s Winter Journey in a Japanese translation. Immediately following his appearances in Japan, Ian heads to Hong Kong to perform Winterreise and Die schöne Müllerin at Hong Kong University, also accompanied by Saskia Giorgini. He will give a talk with Professor Daniel Chua, the Music Department Chair, on his lifelong obsession with Winterreise. Ian’s Asian concert dates mark the start of a very busy year. In February he will embark on a European concert tour with jazz pianist, Brad Mehldau, followed by further tour dates with Europa Galante and Fabio Biondi. Further ahead this season, Ian will give four further performances at the Wigmore Hall as part of his Schubert song cycles series. 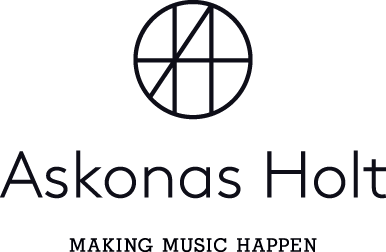 Each performance will be recorded live for release on the Pentatone label.